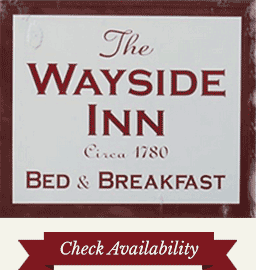 Welcome to The Wayside Inn! Our historic bed and breakfast near Baltimore boasts a rich history and transports guests on an intimate escape into the past. 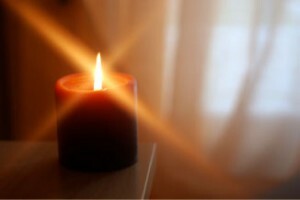 Comfort and warmth abound in every detail of the inn as you leave every bit of reality behind. Over 200 years of history have unfolded at The Wayside Inn, and every room whispers incredible stories of previous guests. You will enjoy this historic charm amidst the reveling in modern amenities and comforts. Unparalleled hospitality will also make you feel right at home in our boutique hotel. Many of these perks and features are unique to our inn and something you will rarely find in generic Ellicott City accommodations. From luxury accommodations, a multi-course gourmet breakfast, and irresistible vacation packages, your stay at Wayside Inn is sure be an experience you’ll never forget. Our central location places you just minutes from all the best things to do in Ellicott City. 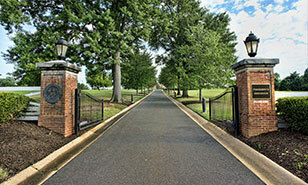 You’ll also find we are nearby several major cities such as Washington D.C., Annapolis, and Baltimore. 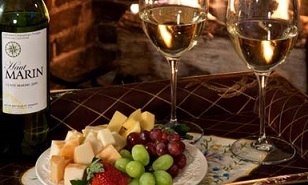 This makes us ideal for many couples seeking a romantic weekend getaway near D.C. You will also discover many of Maryland’s best wineries just minutes from our bed and breakfast. 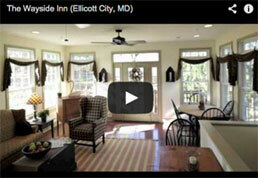 With so much to see and do nearby, our Ellicott City inn is perfect in terms of location. 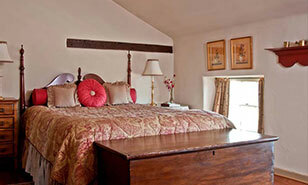 We are excited to welcome you to Wayside Inn for you romantic weekend getaway near D.C. and hope to see you soon! For more information about room reservations and vacation packages, please contact Joe Xu.